This summer, MAMA and the Kunsthal Rotterdam present the exhibition The Kids Are All Right, Fifteen Years of Showroom MAMA. MAMA examines the border between visual art and popular culture, and serves as a home basis for the youngest generation of image makers, artists and general public. 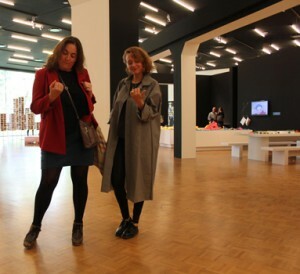 This cooperation between MAMA and the Kunsthal, both in Rotterdam, has created a new platform for young national and international artists and designers that have been realising their pioneering and exciting ideas at MAMA since 1997. Showroom MAMA is founded in 1997 by Boris van Berkum. As the first art institution in the Netherlands to do so, MAMA has been offering up-and-coming artists, performers, designers and youngsters from the graffiti and skateboard scene the opportunity to develop their talents and take their first steps as artists. I had the opportunity to work for Showroom MAMA on various occasions as a curator, artist and producer. Amongst other projects these were my favorites: Hard Pop, B.O.B, MAMA’s Sweatshop and of course MSLM. It is and was a privilege to be part of this history.